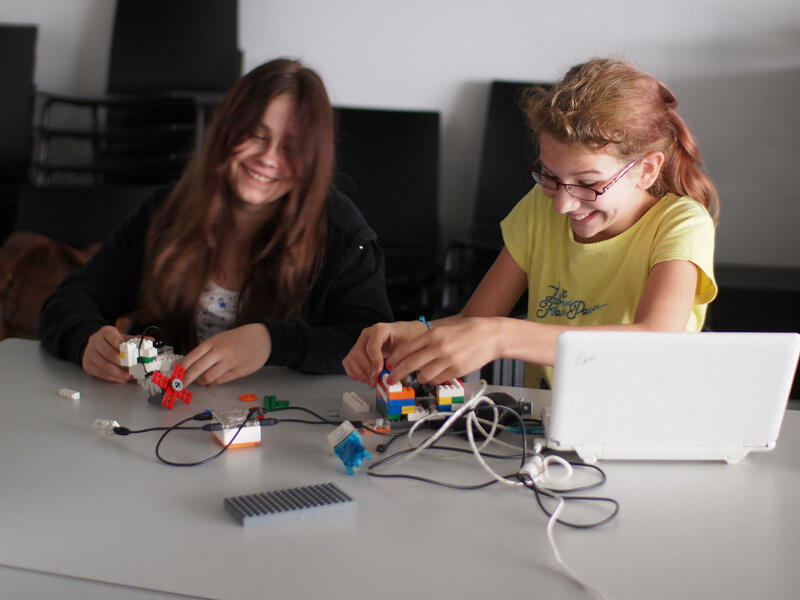 Bricks 4 Kidz camps give campers the chance to create models using LEGO® Bricks. ULM is offering fun and educational summer camps for kids and teenagers June 11-August 3. The camps are part of the Continuing Education program at ULM. Ida Gaines, Coordinator of Non-Credit Programs, discusses the summer camps at ULM. "Continuing Education gives ULM the opportunity to reach out and work with the community on courses to 'continue education,'" says Ida Gaines, the coordinator of non-credit programs. In addition to youth summer camps and activities, the Division of Continuing Education works to provide life-long learning opportunities. "Fun with Math" camp is June 11-15. The camp aims to make math fun and help campers "discover the beauty of mathematics" through hands-on projects. The class is taught by a current ULM math teacher and an elementary teacher who have created activities and strategies for helping students internalize the uses of mathematics. The camp has two separate sessions: one for campers who have completed 1st or 2nd grade and one for campers who have completed 3rd, 4th, or 5th grade. "Young Scholars Camp" is June 25-29 for grades 5-8. The class theme is "Engineering Design Challenge." Each day, campers are challenged to use their problem-solving and critical thinking skills to solve challenges using repurposed materials while working in groups. Groups have the chance to win rewards for successfully completing the challenges. The class teaches students about the engineering design process. The summer line-up also features several Bricks 4 Kidz camps. These camps focus on hands-on projects using LEGO® Bricks. Students use the bricks to learn in "Transformation Creations," "EV3 Robotics," "Ninja Quest," and "Superhero Academy" throughout the month of July. More information and registration for the summer camps is available here.